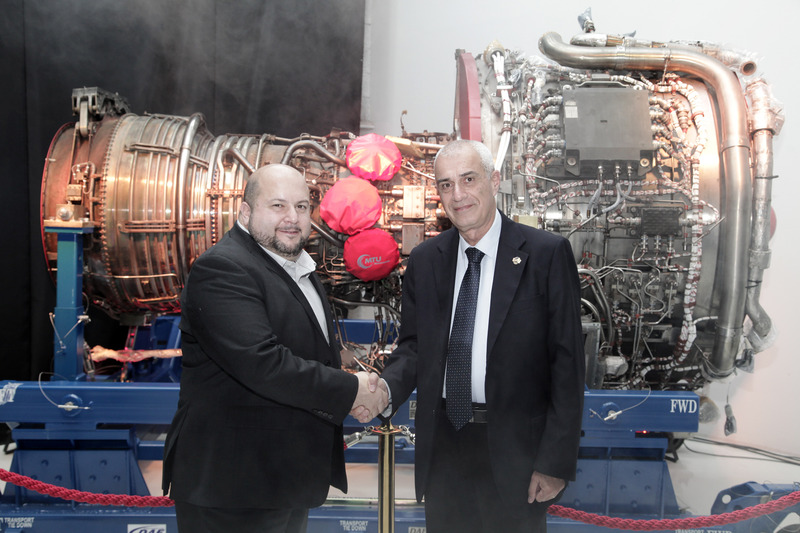 December 14, 2017 – International Aero Engines AG (IAE) and Israel Aerospace Industries (IAI) announced today a 10-year general terms agreement for maintenance of V2500 engines at IAI’s BEDEK, Engine Division. The first V2500 turbofan engine which powers the Airbus A320 family has arrived today to IAI. In a ceremony held today, IAE, which is a consortium of several companies, including Pratt & Whitney, Japanese Aero Engines Corporation, and MTU Aero Engines GmbH, and IAI marked the initiation of the V2500 maintenance agreement which established IAI as a Service Maintenance Center for IAE. This is another milestone in the long lasting relationship between IAE and IAI that started many years ago. IAI Bedek provides the added value as a one-stop, full service provider that provides comprehensive maintenance services for aircraft, engines and components under one roof including heavy maintenance, modifications, upgrades and aircraft conversions. The Engines Division, as part of the Bedek Aviation Group, performs the maintenance of a large variety of engines such as the JT9D, CFM56-3/5/7, PW4000 and others.